Surprise! 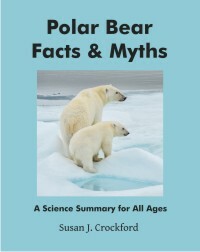 US Geological Survey polar bear specialists have just published another opinion-based model that concludes – yet again – that there is no hope for polar bears of the future unless the world drastically reduces fossil fuel use. This appears to be the Amstrup-led rebuttal to the hated 2015 IUCN Red List polar bear assessment I have been expecting, written in tandem with the Red List document by two of the same co-authors (Steve Amstrup and Todd Atwood). Really, no surprises here – just more of the same overwrought fear-mongering about polar bears that we’ve been hearing from USGS since 2007. 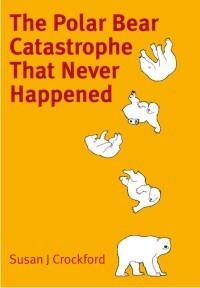 I saw Atwood and Amstrup last week in a British-made TV film that expressed the same sentiments (The Great Polar Bear Feast – it oddly featured dozens of fat/very fat Kaktovik polar bears while mostly USGS ‘experts’ talked about impending starvation). On camera, Atwood and Amstrup were almost indistinguishable in their statements of doom, and even though the film aired 6 months ago in the UK, it has so far not garnered the angst it seems to have intended. Some folks may be even more convinced than ever by this new PR strategy [TV movie plus a published paper] that the polar bears are all going to die unless we (not they) change our wicked ways and stop using fossil fuels, but chances are that many more will detect the desperation in their escalated pitch and continue to refuse to buy what they are so frantically trying to sell. This USGS Atwood/Amstrup paper appears to be the rebuttal to the 2015 IUCN Red List Assessment (Wiig et al. 2015), also co-authored by Amstrup and Atwood. However, the Red List assessment would make predictions only to 2050 and highlighted the uncertainty involved in such work. Oddly, the USGS Atwood/Amstrup paper does not mention the Red List assessment or the population size estimate of 22,000-31,000 it contained, even though both Atwood and Amstrup were co-authors of that document., and was clearly written at the same time. 2015 Red List assessment pdf here; Supplement (with the details) here. The publication details provided [“Manuscript Received: 16 July 2015”] that Atwood and Amstrup were working on this USGS manuscript at the same time they were writing the Red List document (“Date assessed: 2015-08-27” i.e. 27 August 2015), for which their hyperbole was constrained by an outsider’s review and three outside “contributors” (Akçakaya, H.R., Holmes, E., Reynolds, J., Stern,H.). Amstrup, S.C., DeWeaver, E.T., Douglas, D.C., Marcot, B.G., Durner, G.M., Bitz, C.M. and Bailey, D.A. 2010. Greenhouse gas mitigation can reduce sea-ice loss and increase polar bear persistence. Nature 468: 955–958. 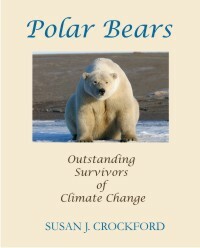 This entry was posted in Advocacy, Conservation Status, Sea ice habitat, Uncategorized and tagged activists, Amstrup, Atwood, climate change, fear-mongering, global warming, greenhouse gases, models, opinion, polar bear, Red list, sea ice, USGS. Bookmark the permalink.